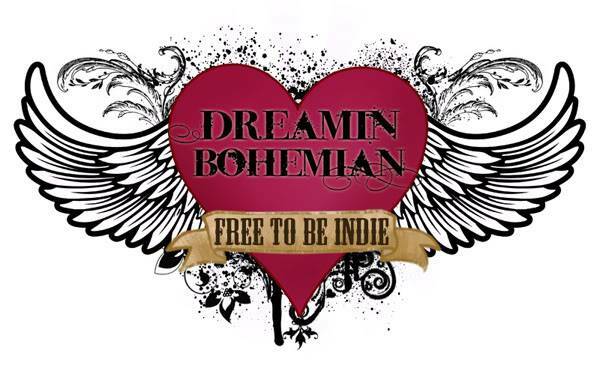 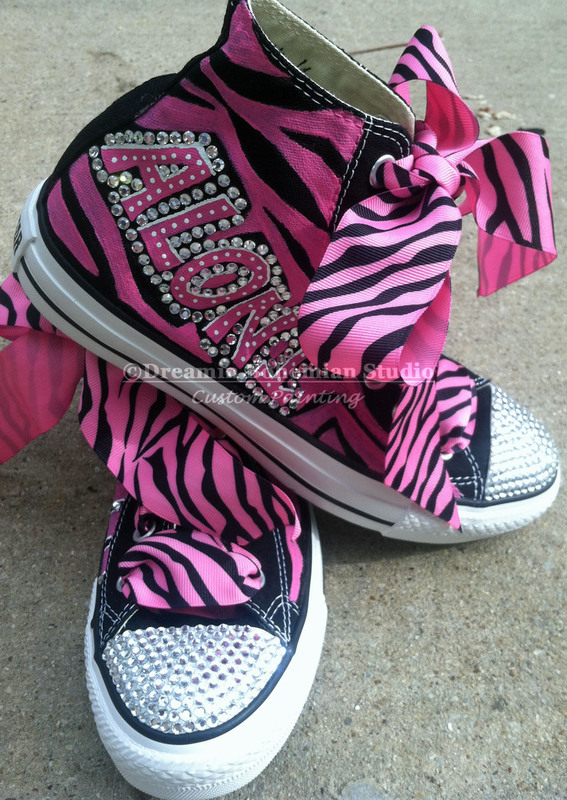 Your name will be on them outlined in bling and the toe of them covered in bling as well if you so choose. 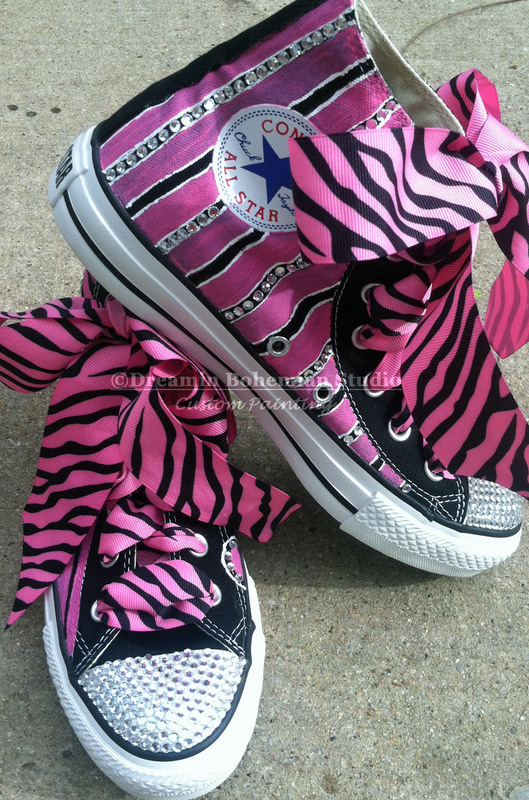 I can do other sizes for girls as well, please contact me for details as the pricing is different. 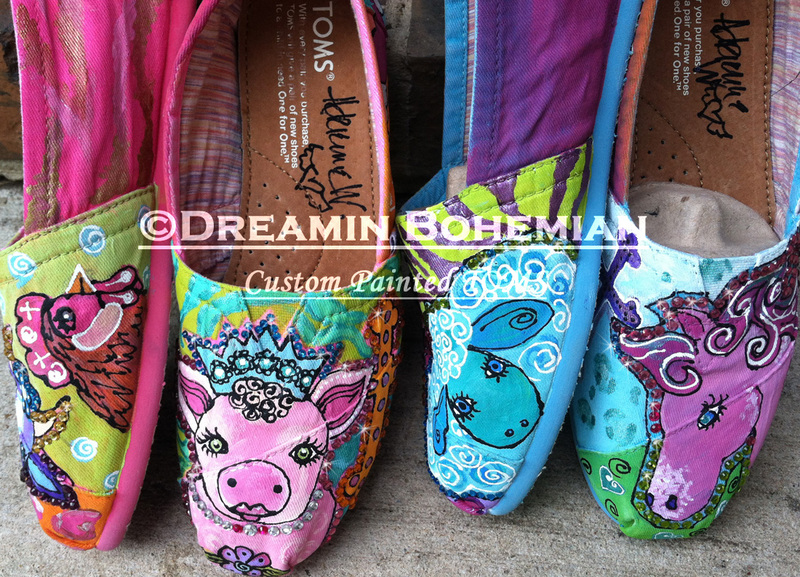 You would choose the animals you love and I will whimsically paint them colorfully on TOMS just for you. 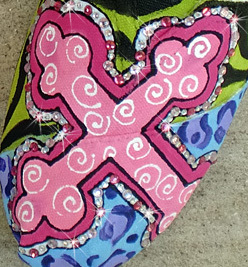 THese also have colorful painted animal prints like cheetah and zebra and carefully placed crosses. 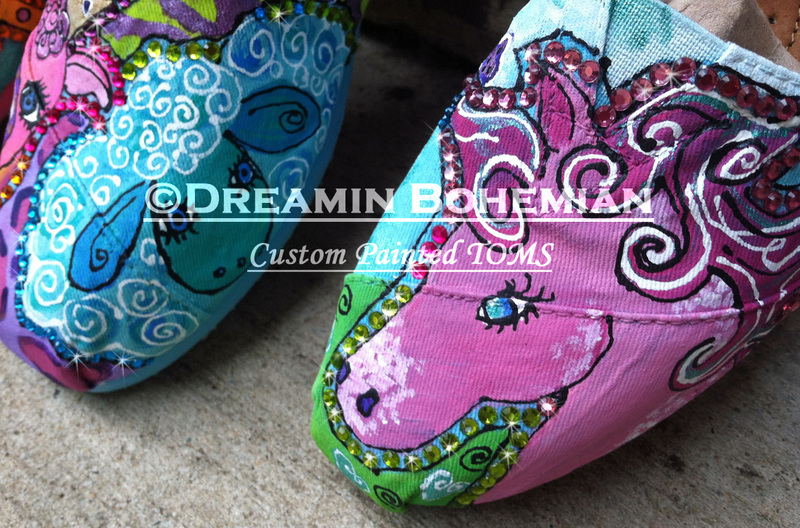 Like I said, these were an original custom design for a client, but I would love to paint a pair like these for you and tweak them with your favorite design elements, colors and animals. 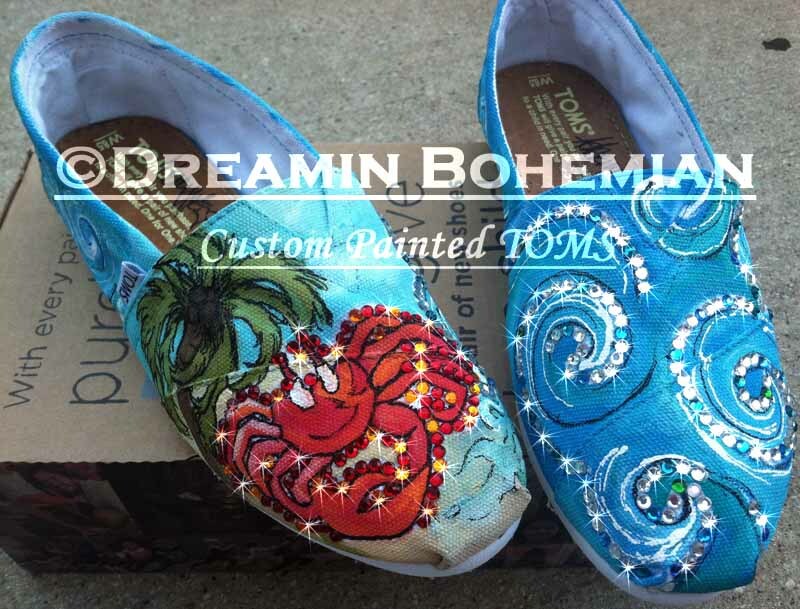 This listing is for my Waves and Crab design painted on TOMS. 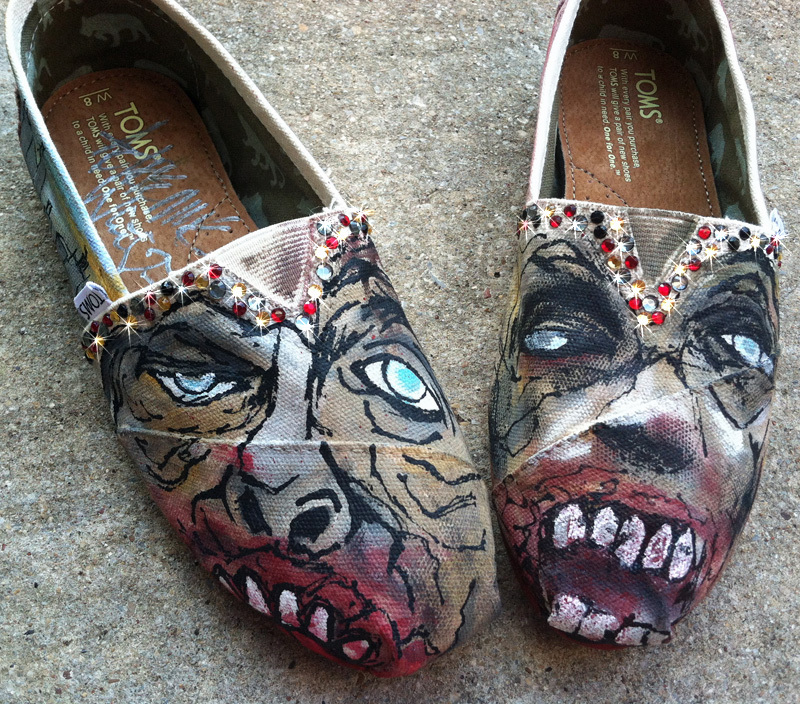 YOU order the shoes and have them shipped to me and I will paint them with this design and ship them to you, or NOW you can choose the option of me purchasing them for you. 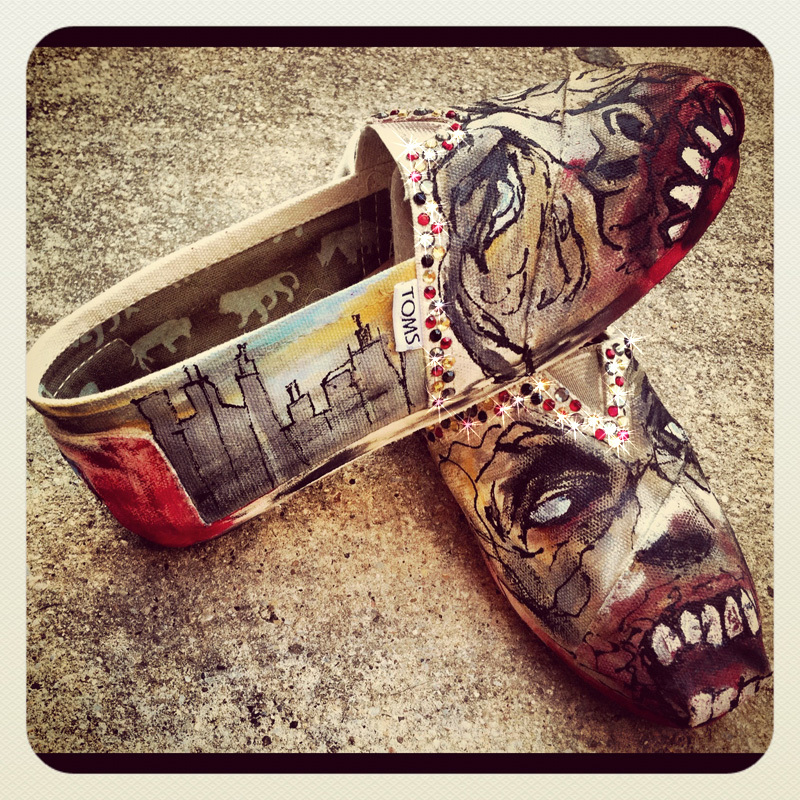 The final picture of these is with bling. 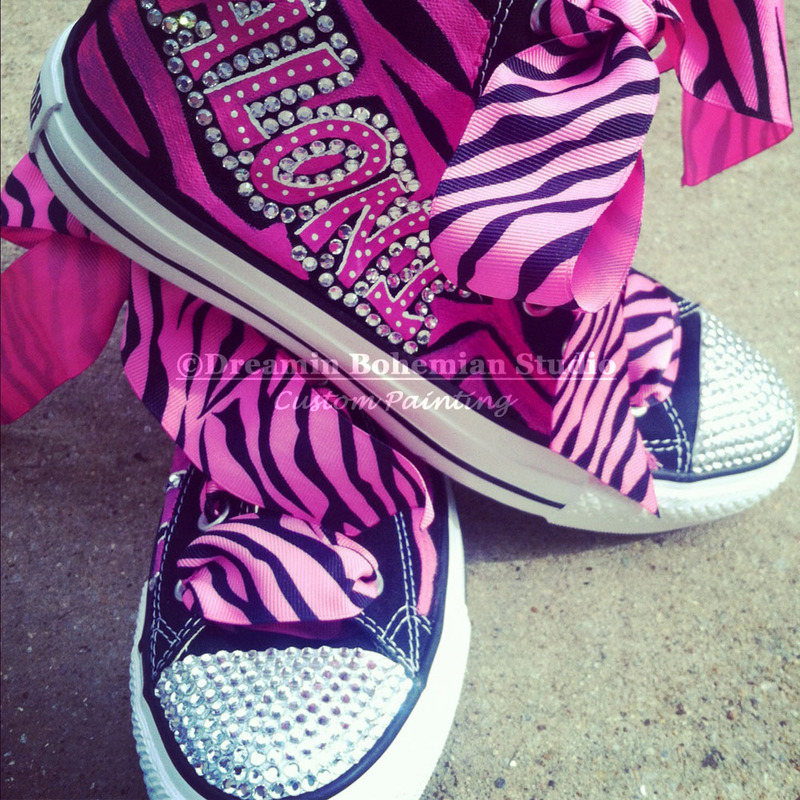 You can choose whether or not you would like bling on the shoes or not. 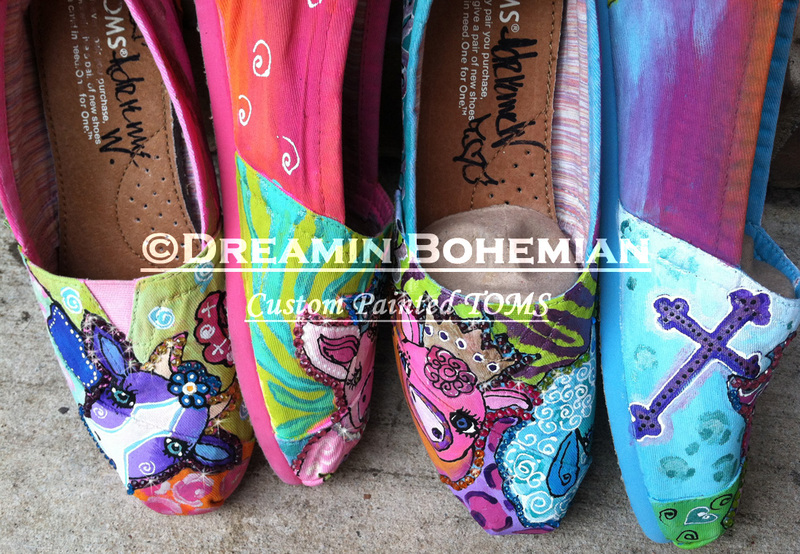 below in the order options. 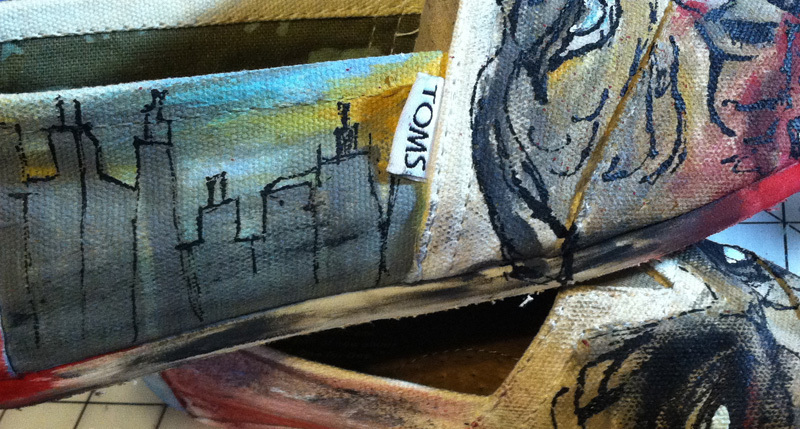 This listing is for my ZOMBIES design painted on YOUR TOMS. 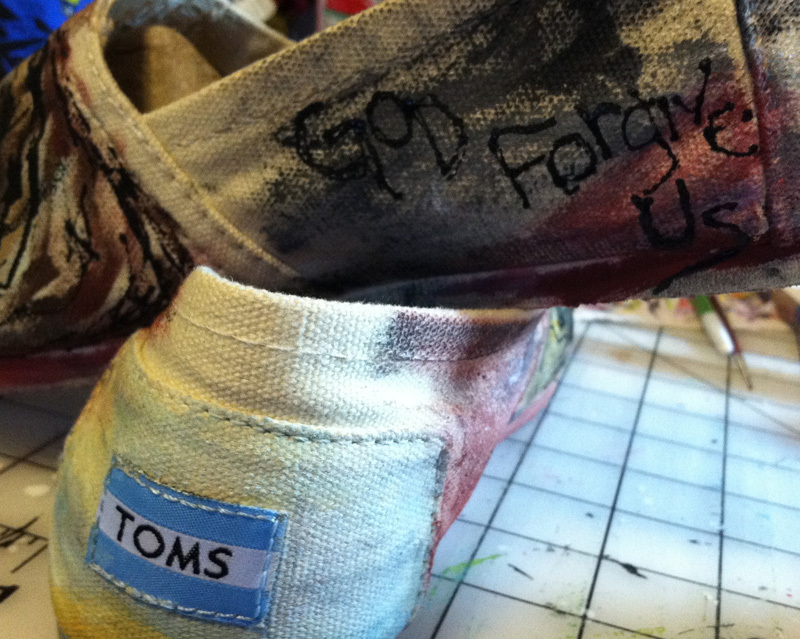 Or if you choose so I can purchase the TOMS for you. 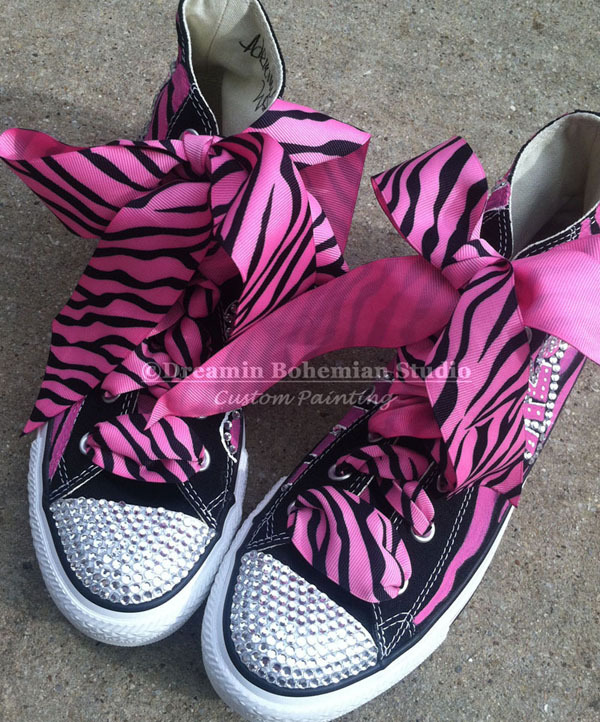 You can choose whether or not you would like bling on the shoes or not.